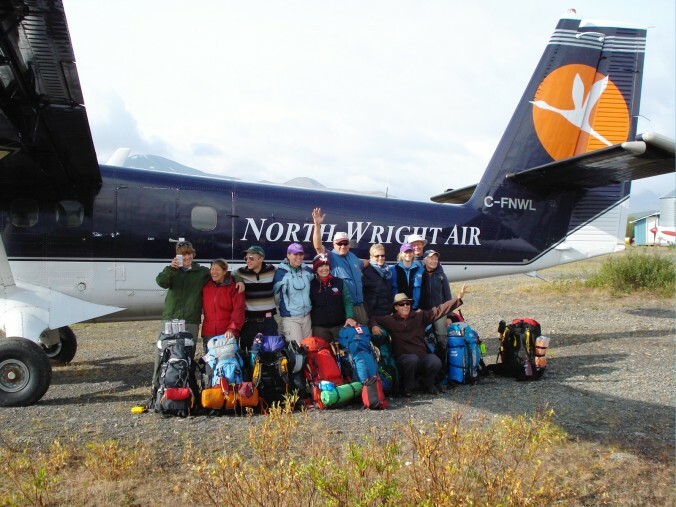 North-Wright Airways is a licensed operator for the Canol Heritage Trail. In conjunction with North-Wright Airways, Canoe North primarily offers logistical advice and infrastructure support for self-guided groups planning a hiking adventure on the Canol Trail. 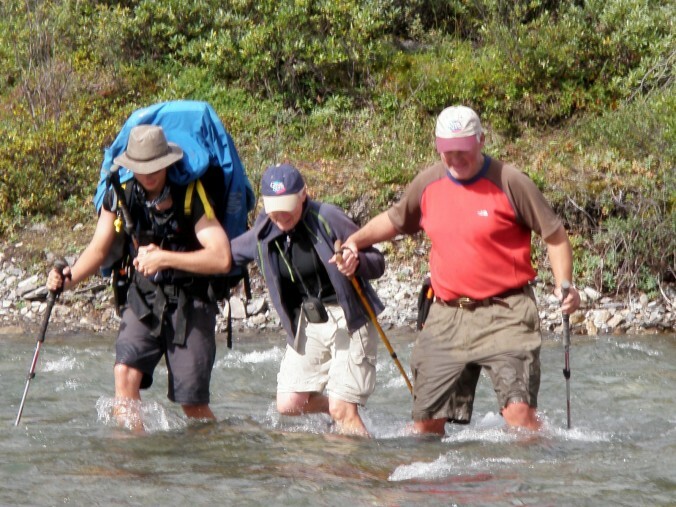 We can assist with accommodation and meals in Norman Wells, planning air and water access to and from the Canol Trailhead and we can also assist in coordinating helicopter food drops or high-water river crossings during your hike. 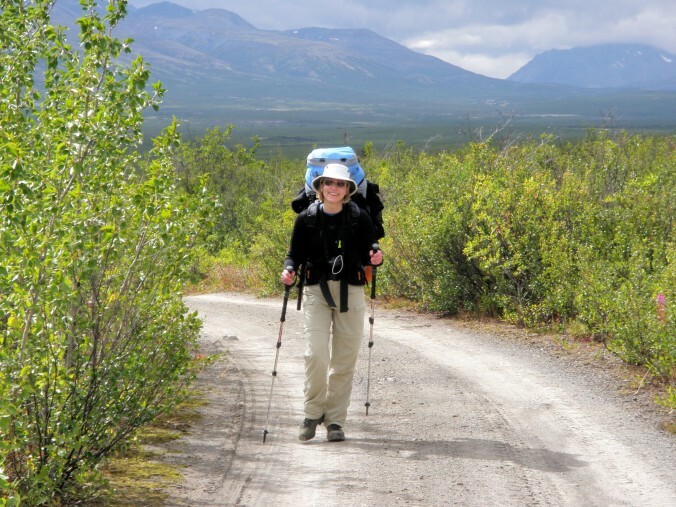 The Canol Heritage Trail stretches 222 miles from the Yukon Border to Norman Wells, NWT and traverses the spectacular Mackenzie Mountain wilderness. The trail has not been maintained since the end of World War II and much of the trail in low-lying areas has been eroded. During the War, the US Army built the Canol Trail and Pipeline in partnership with the Canadian Government. Norman Wells oil was pumped to Whitehorse, Yukon via the Canol Pipeline where it was refined and desperately needed to fuel construction of the Alaska Highway. When the war ended suddenly, the Canol Pipeline Project was abandoned and immediately shut down. 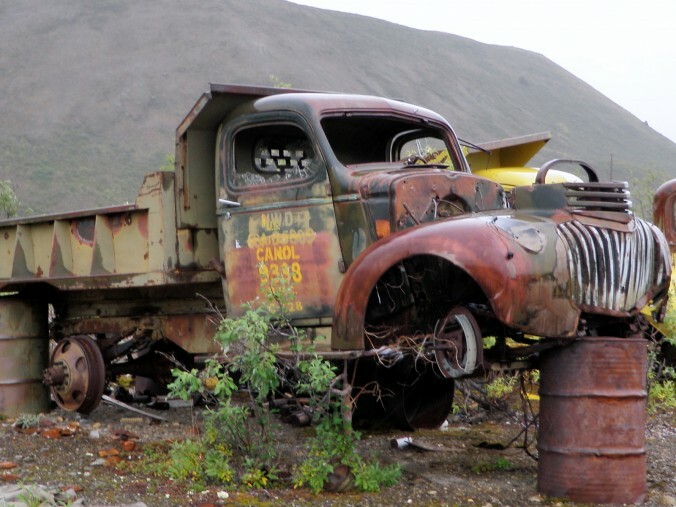 Most of the original pipeline was salvaged along with several hundred army vehicles – but much of the extensive infrastructure was simply abandoned in the wilderness and is slowly being reclaimed by nature. The flight over the Mackenzie Mountains into Mile 222 at the Yukon Border is breath-taking. North-Wright Airways lands on a gravel airstrip at the edge of a vast alpine region called the Mackenzie Barrens Plateau completely void of trees because of the high altitude. Caribou roam freely here across the trail and the area is prime moose country. The section of trail from Mile 222 to Mile 165 is in excellent condition with solid footing and very little underbrush. 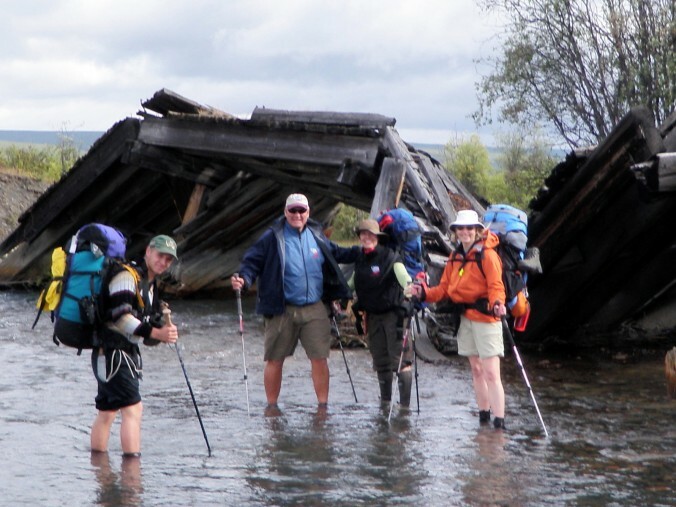 At creek crossings where wooden bridges have collapsed, neoprene wet-boots are required and hikers can simply wade across the frigid waters. 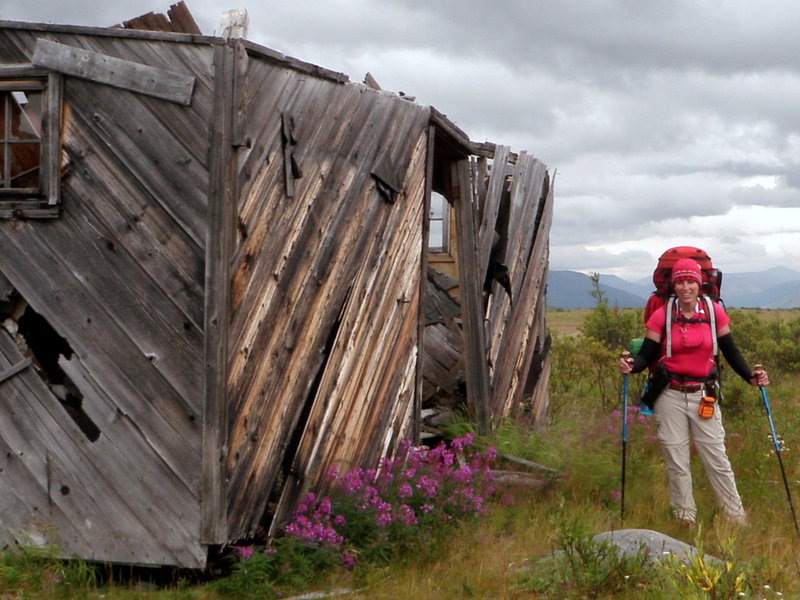 At the Intga River, an old Canol Pump Station comprised of wooden structures is worth exploring. 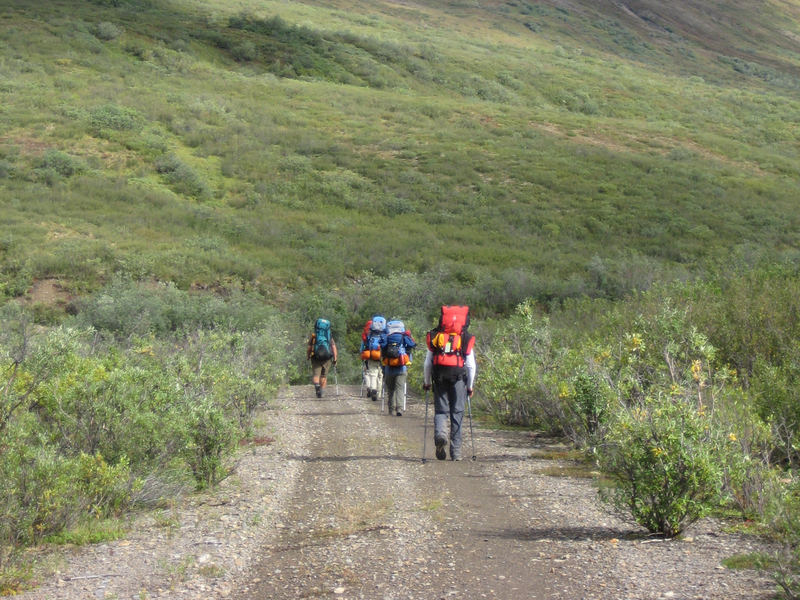 At Caribou Pass the trail is circled by stunning mountain peaks before descending several hundred feet into the Ekwi River Valley. River crossings are knee to thigh deep and require patience and solid team-work. Gravel bar campsite on the Ekwi affords great fishing and a stunning view looking back towards Caribou Pass. The hike to Godlin Lakes and the camp at Ramhead Outfitters is a beautiful downhill section of the trail. Stan and Debbie Simpson are wonderful hosts at Ramhead Outfitters and can support your hike with a hot meal and rest area. Ramhead has fixed wing and rotary wing aircraft and can assist with food drops or river crossings especially at the daunting Twitya River crossing. 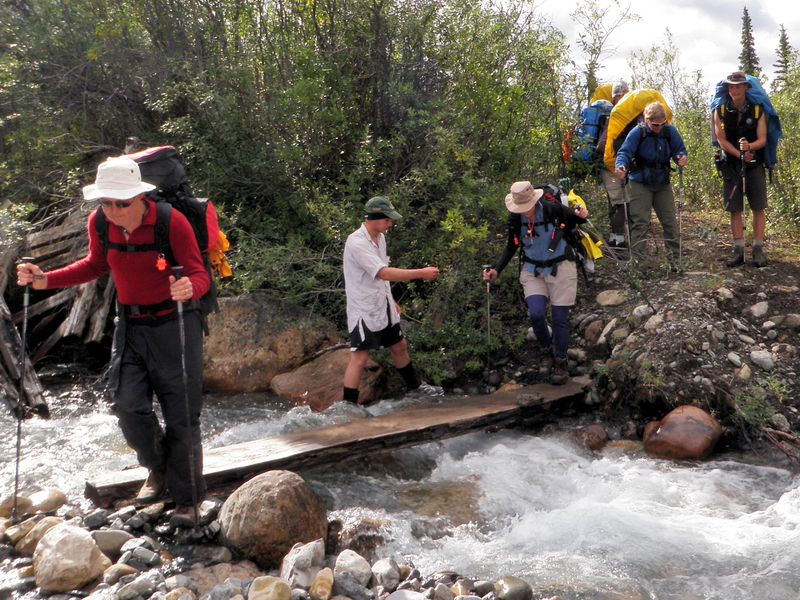 After crossing the Twitya River, hikers face a tough and overgrown section of trail along Trout Creek. Dense willows and underbrush coupled with landslides and erosion have obliterated much of the original trail in this region. Entering the Dodo Canyon and Plains of Abraham, hikers are rewarded with canyons, waterfalls and spectacular views. 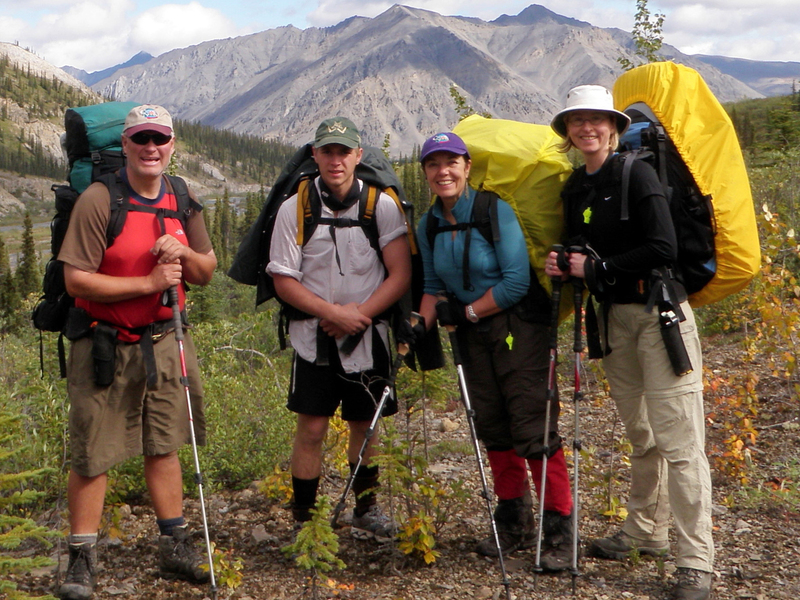 Entering the Mackenzie lowlands, hikers must deal with sections of muskeg and swarms of mosquitoes! At the Mackenzie River, hikers can be picked up by motor boat for the short ride to Norman Wells which marks the end of your Canol Heritage Trail Hike. Congratulations!